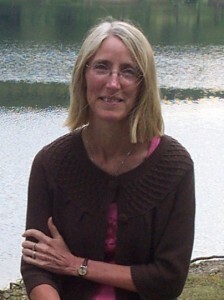 Formerly a magazine and newspaper editor, Ann Campanella writes creative nonfiction and poetry. Excerpts from her memoir, Motherhood: Lost and Found, have been recognized by the Isak Dinesen International Creative Nonfiction Competition, the North Carolina Writers’ Network and the Charlotte Writers’ Club. She was honored to receive the Poet Laureate Award twice from the North Carolina Poetry Society, and she is the author of What Flies Away, a full-length poetry collection. Ann’s writing has appeared in local and national publications from literary journals to the bestselling A Cup of Comfort series, and her poetry has been featured on Garrison Keillor’s The Writer’s Almanac. She has a degree in English Literature from Davidson College and lives on a small horse farm in North Carolina with her family and animals. A cold front moves across the piedmont of North Carolina. The wind lifts my horse’s mane from his neck, causing us both to shiver. He stands like a statue as I mount. His ears are alert, catching the sound of stray leaves being stripped from trees. The sky is clear, but the sun feels farther away than usual. In another hour, darkness will fall and frigid air will sweep across the fields, the ground below the ring will begin to harden, and a layer of ice will form on the puddles left behind from last night’s rain. I urge Crimson forward, feel the lift of each hind leg as he walks. Before going into the ring, we warm up around the outside. Crimson is lazy by nature, but with the wind behind us, he launches into a loose, flowing trot. I give him his head and he seems to float for an instant above the ground before pushing off with diagonal legs. The cold breeze stings my cheeks and my eyes water, but I wouldn’t give up this feeling for anything. I am thirty-three years old and have been riding horses since I was nine. From the beginning I was entranced with their power, their muscled fluidity. I was a typical young girl in love with horses. But there was more — a nuance I couldn’t articulate, and still struggle to name. Call it a connection, an invisible fiber that runs between me and these four-legged creatures, as if we are one and the same. Crimson’s large brown eyes, his very skin seem to absorb every sensation and emotion that passes through me. Standing in the aisle this afternoon, brushing his coppery coat, it was as if he intuited something was different, that I was different. Could he feel the new life growing inside me? The wind howls eerily and Crimson gives a gentle, rolling buck — the kind that shows that, while he’ll go along with it, he’s ambivalent about working. I wish I wasn’t, but I’m ambivalent about being pregnant. Having a baby feels like the most incredible gift anyone could ever receive. But I didn’t grow up dreaming of being a mother. As the youngest in my family, I hardly spent any time around children younger than me. I was much too self involved. Now, facing the idea of raising a child scares me. I’m unequipped, and there’s so much at stake. What if I don’t have any mothering instincts? Or, what if, on the other hand, I fall madly in love with this baby? Will I lose myself in the caretaking as my mother did? Who would I be if I gave up my love of horses and my passion for writing? Joel and I have worked hard turning our dream of having a farm into reality. We’ve lived off his salary, saving every check I earned as a magazine and newspaper editor. We own the land, but we still have fencing and a barn to build. Will the vision of bringing Crimson home disappear if I have a baby? And how will Joel and I handle the stress and exhaustion that come with a newborn? His long hours at work and his travel schedule are already a source of tension between us. I want him to partner with me in raising a child. And, last, the thing I’m most concerned about, the thing I don’t like to think about: I inherited a chromosomal abnormality from my mother that gives me a fifty percent chance of having a miscarriage. I could lose this baby. Over a year ago, I made the commitment to do whatever it took to finish [Motherhood: Lost and Found] by the end of 2013. When you’ve worked on a project as long as I have, you become intimately acquainted with every scene and can practically recite every sentence. Many of my writer friends had read drafts of the memoir and had given me wonderful feedback. But I knew I needed to take the next step. I needed an objective editor. I wanted it to be someone I knew and trusted, but it had to be a person who didn’t know my history and the details of my past. I also wanted someone who I respected and who would have a heart for the material I was working with. After considering several different people, I chose Maureen. I couldn’t have made a better choice. Maureen and I spent the better part of a day discussing my book. As we went over my manuscript page by page, she shared her impressions, which helped me know what was missing and where I was on target. We talked about themes, language, characters, structure, and more. She asked every question she could think of, challenging me to find the emotional core of each scene. She knew this memoir was deeply important to me, that I wanted to get it right, that I wanted to take my readers on a journey through grief and leave them in a place of hope. I took volumes of notes, but knowing it was impossible to write down everything we discussed, Maureen gave me an audio recording of our session. I listened to this recording as I was driving to the beach and lived with her words and questions for several days on a solo writing retreat as I pondered how to go deeper. Many of my writer friends have been midwives for Motherhood: Lost and Found, and I am grateful to each of them. Maureen coached me through those difficult final stages of labor, then gave me guidance on cleaning and swaddling “the baby,” making her presentable for publication. Thank you, Maureen.